While working on Six Months, I haven’t done a lot of explicit “worldbuilding” work. There are no documents or maps or world bibles describing the places in my story. I do a ton of that for my day job, and I don’t really welcome it into my personal projects. Besides, I’ve spent so long working on this particular story that I’ve learned its world through dumb rote, like a student in a history class. I do seek out visual inspirations for various locations in the story, though. I did this for Swan Hill, too. 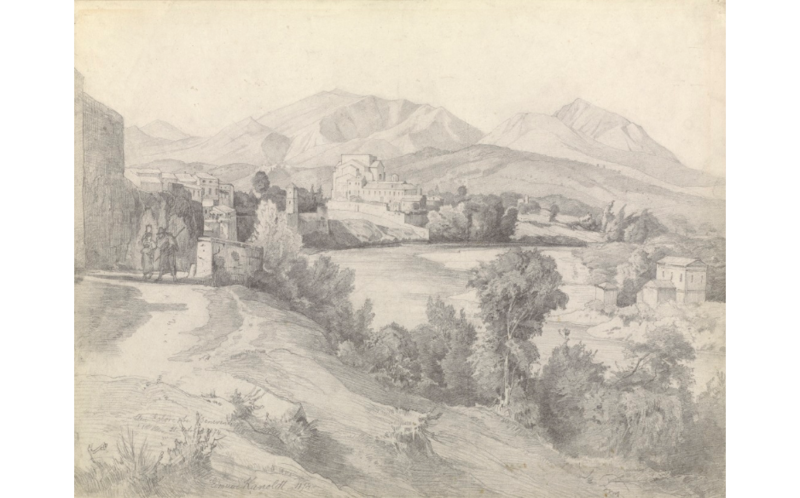 I mostly use the Getty museum’s open image database, because it has a lot of chalk and charcoal drawings of early modern European villages, landscapes, and cities. Here are some pictures which I’ve been using as inspiration while working on Six Months. Six Months mostly takes place in a large city called Rindberg– the same city where the Chancellor’s university is located in the story Swan Hill. If the capitol of the kingdom is similar to New York, Rindberg is more like Boston– not as big, not as cosmopolitan, but a successful trade port nonetheless, and vitally important to the region. 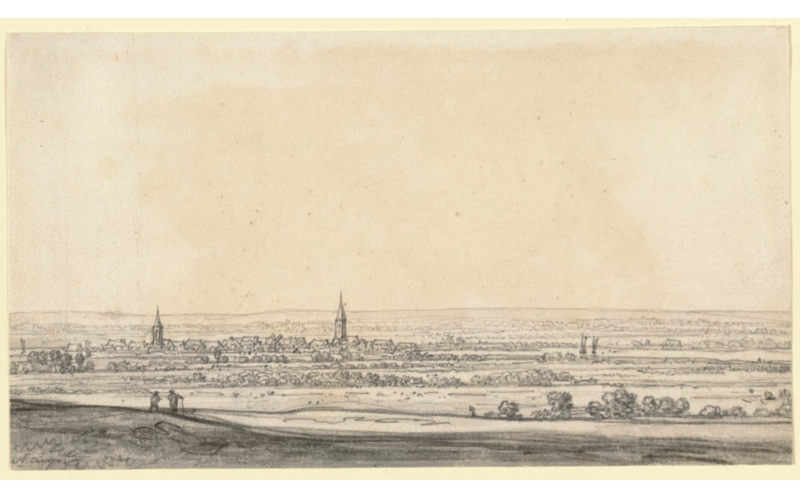 This drawing of the Rhine river valley was made by a Dutch artist sometime around 1651-1652. The low, flat basin in the image is how I imagine Rindberg looking from the surrounding hills– though Rindberg would be bigger than the town in the drawing. The time period and architecture also fit the story. Simon Villano, the protagonist, would see a similar view as he approaches Rindberg in the few hours immediately before the story begins. Simon Villano lives in a fertile valley around a week’s journey to the northwest of Rindberg. The same river connects Rindberg and Swan Hill, his home– but to save time on the trip, road travelers will cut through the mountains around which the river winds. They might travel through other towns and aristocratic holdings along the way. On his journey to Rindberg to make peace with his estranged brother, I imagine that Simon might take a mountain pass that looks a little like this one. This valley contains the mountain stronghold of a baron or baroness whom Simon knows very well. He will stay here one night before continuing on his way in the morning. Simon’s social network, so to speak, is very small– and made entirely of people he’s known in one way or another since childhood. He does not often leave his home. 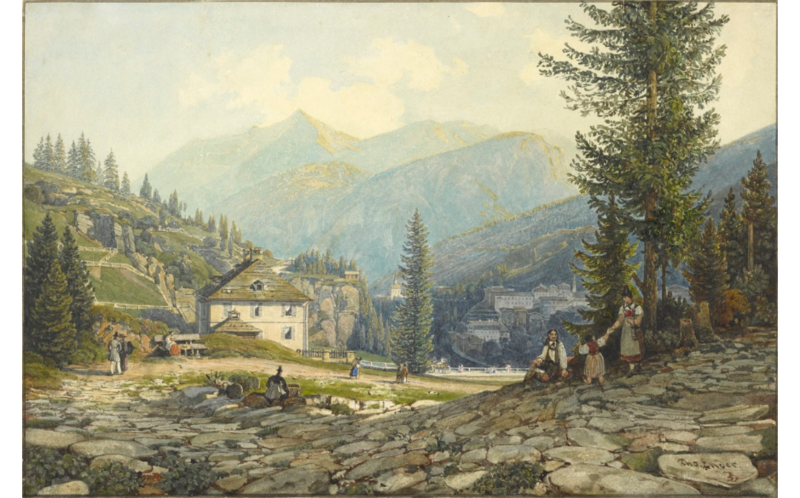 Although traveling to this mountain pass for business discussions with its lord or lady is normal for Simon, going beyond– to Rindberg– is not. The buildings and trees and winding road in the foreground of this image would represent almost the very edge of Simon’s known world. This is the image that I used to represent Swan Hill in this Twine story. I always imagined Swan Hill as more of a manor than a castle– remodeled in recent years, as the kingdom strengthened and wars subsided. But I enjoy the shape of the river and the buildings next to it, and the thick bunches of trees mixed throughout. I also enjoy the fact that it is a view from a road. When Simon and Robert pull up to the manor in the beginning of the Swan Hill, they see a view quite similar to this one. This duchy is Simon’s whole world. He rarely leaves for any reason. He has immense power in this little region, but he is provincial as hell– the biggest fish in a tiny little fishbowl. From Robert’s more-cosmopolitan perspective, Simon may as well be trapped here. There are two major rivers in the story– the River Scoven, along which Swan Hill and Rindberg sit, and the Taschender River, home to an ethnic group which has been oppressed by Simon’s dominant one throughout the history of the kingdom. When Simon was a teenager, his father brought him on a campaign in the Taschender river valley. This troubling experience with an unjust, messy war dramatically changed Simon’s personality and attitude toward life. The city from which the local lord rules the Taschender river region is called Mirian. 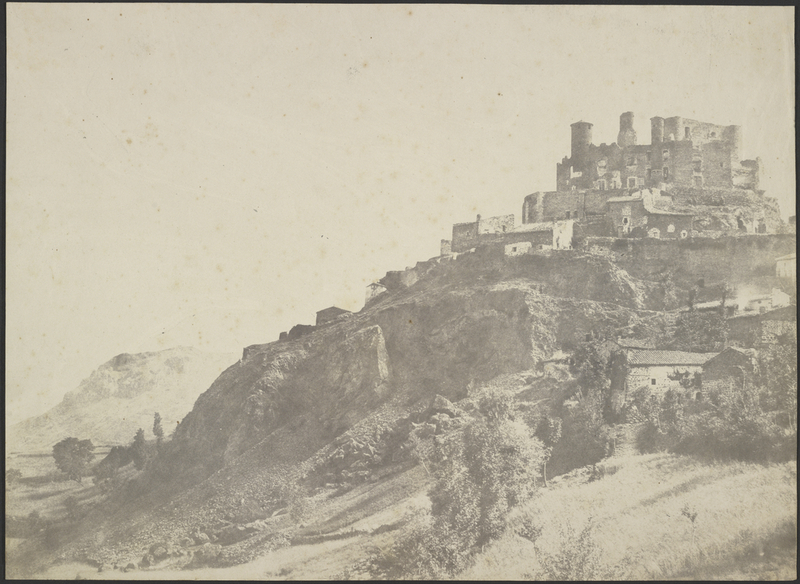 I imagine that a forbidding castle prickling with cannons sits in the corner of this city, overlooking a blighted, rocky valley and a rebellious populace. Simon’s father fought up and down this valley twenty years ago– but Simon got out as fast as he could by marrying young and taking over the family business. This view probably brings him many unpleasant memories. Most of the architecture is stone (compared to RIndberg and Mirian, which are mostly wood-built). I have toyed with the idea of using Rome as a kind of inspiration, but I’m super sick of stuff based on Rome, and no city in this story is anywhere near as big as Rome was. But the city of Toledo looks a little more like what I’d imagined, so here’s a picture of it, I guess. This entry was posted in Lists, Writing Projects and tagged early modern europe, Six Months, swan hill, Twine, writing. Bookmark the permalink. ← Detective City on Itch.io!